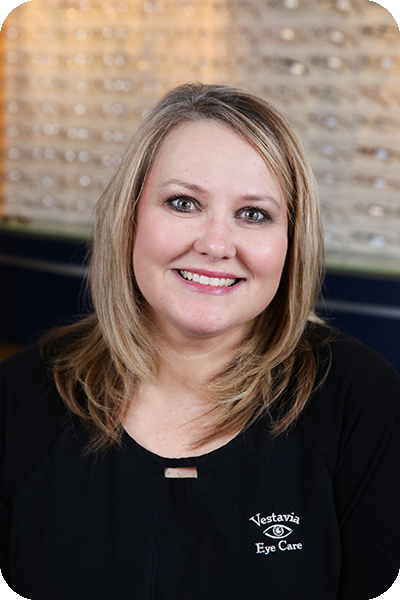 Karen serves many roles at Vestavia Eye Care. In addition to her duties as a receptionist, she handles our insurance filing and billing. Karen and her husband, Marion, have been married for over thirty years. They have two daughters and four grandchildren. She is a member of Green Valley Baptist Church in Hoover, where she sings in the choir. When Karen is not at Vestavia Eye Care, she is busy sewing for Lila and G, a custom children’s clothing company she co-owns with her daughters.